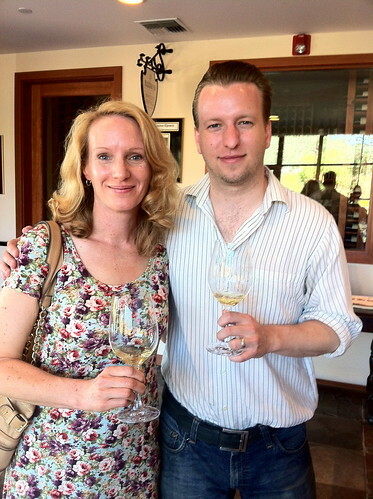 Prior to our Black Friday Wine Tasting, Greg and I had the opportunity to do some wine tasting in Sonoma earlier in the year as well. At the beginning of summer, we did a quick round of Dry Creek. We’ve had the chance to visit the area a couple of times in the past, and have had a lot of luck here finding wines we like. 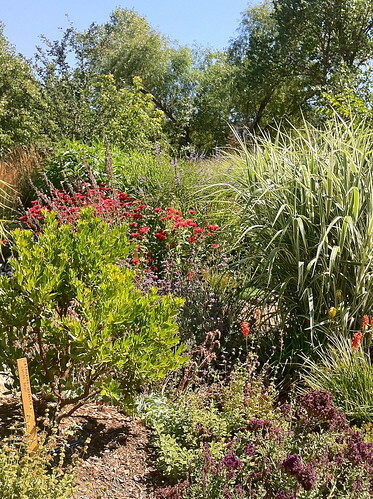 Dry Creek is particularly known for producing Zinfandel. 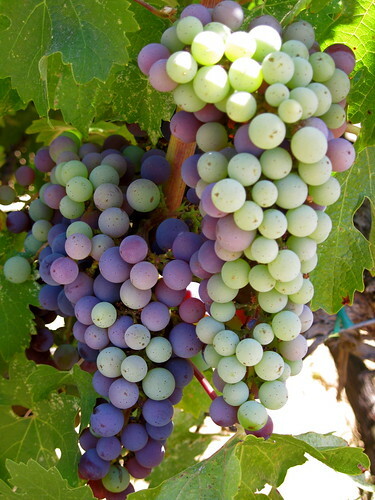 This grape tends to produce big wines, with ripe fruit flavors, and high alcohol. Unfortunately, when mass-produced or unskillfully made, the wine’s fruit can come across as over-ripe and it can just seem flabby; it’ll just sit in your mouth and weigh down your tongue. They can of just sit there on your tongue and weigh down your palate. On the other side though, when made well, Zins can be positively delicious. Just completely yummy, like berry pie. We’ve been lucky to find some really good producers on our various trips to Dry Creek – that’s due largely in part to the fact that my sister-in-law and her husband live in the area and have done the rounds. 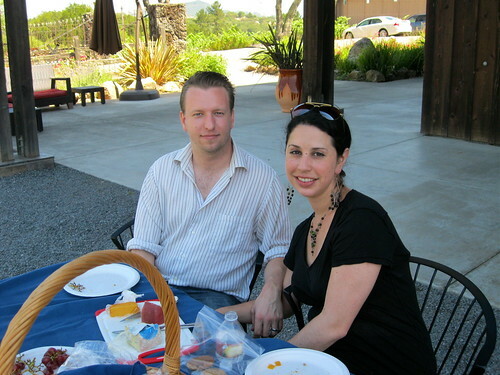 My sister-in-law, Hillary, with Greg on our wine tasting trip. What I found most interesting about this particular trip is that we visited a couple of different wineries producing excellent Zins, each exemplifying just what this varietal can be, but in completely opposite styles. What’s even more convenient is that two of the wineries had tasting rooms right next to each other, so it’s very easy to get an idea of what style you might prefer. I loved both. Our first stop was at Ridge Vineyards. Ridge really doesn’t need much help from me; they’re well known enough as is. 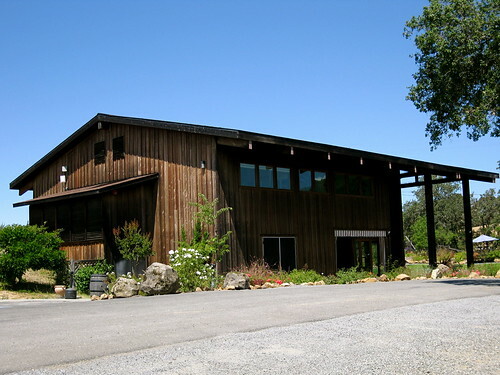 However, it seems to me that fewer people know about their Dry Creek tasting room than about their location in the Santa Cruz Mountains. 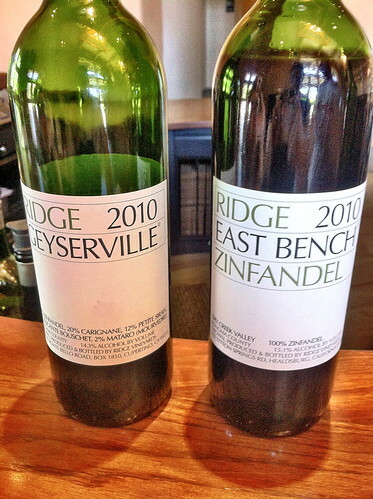 We enjoyed all the wines we tried at Ridge, but both Greg’s and my favorite at this tasting was the 2010 Geyserville. This is a Zin dominated blend, backed up with Carignane, Petite Sirah, and touches of Alicante Bouschet and Mataro. The flavor starts with mixed berry jam up front with baking spice and earthy notes, but it had enough tannins and acidity to provide structure, and ends in an elegant finish. We also like the 2010 East Bench Zinfandel and the 2010 Paso Robles Zinfandel, at $28 and $30 respectively we thought them both good values, with lots of lush fruit on the palate—fresh bright berries on the East Bench and darker fruits and prune note on the Paso Robles—each balanced by a little tartness on the finish. This was something we noticed pretty much across the board at Ridge; the wines had plenty of the beautiful fruit one would expect of Zinfandels up front, but they’re well structured and have enough acidity to give them an air of sleekness. Our next stop was Mazzocco, a boutique winery specializing in Zinfandel, although they do produce a couple of other varietals. Whereas Ridge’s wines are marked in my mind by their sleek elegance, Mazzocco’s wines have more of the rich, concentrated fruit flavors that are the mark of Zinfandel. However, they still have enough of that acidity to ensure that those ripe berry flavors don’t become flabby. It’s also very interesting to get to taste through Zins from different vineyards, as well as the blends from those vineyards. This is actually our 2nd trip to Mazzocco, and on this trip we took their 2010 Thurow and the 2010 Seracino. The Thurow had dusty stone notes accompanying cherry flavors, and a nice tannic grip. The Seracino had a darker richer nose, along with velvety black cherries on the palate. On both occasions we also really liked the Maria, which had spicier notes of mocha and pepper. We stopped for a picnic after our tasting at Mazzocco. Truett Hurst was our final stop on this trip. 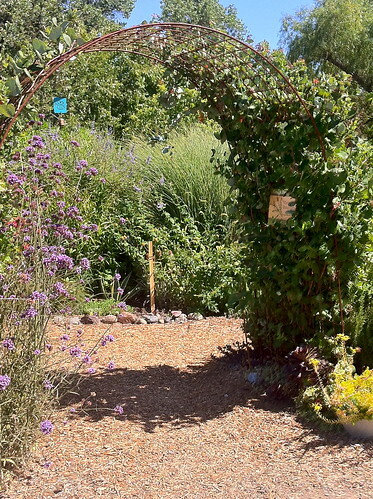 They have a lovely property with gardens and a pretty path leading to a stream—a great spot to stop for a picnic or to break up your tasting with was a walk. They had a nice slate of wines, producing classic versions of Zins, along with Pinots, and a couple of other varietals. They’re converting their vineyards to a biodynamic operation, and the prices are pretty reasonable to boot. I’ll be interested to see how they develop. On this occasion, we took home the Salmon Run Zinfandel Rosé, which had flavors of strawberries, pinks flowers, and a touch of nectarine—it seemed the perfect thing to end a hot summer day. 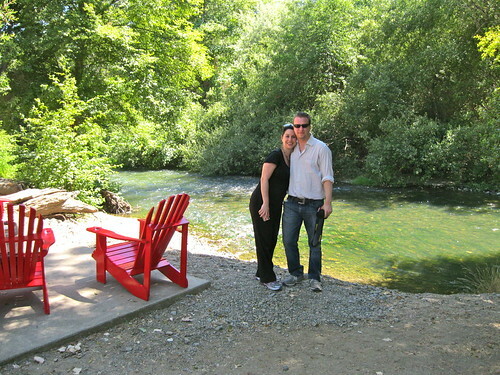 For more on Dry Creek, check out our previous trips to the area here and here. And if you're looking for a good place to stop and pick up lunch, the Dry Creek General Store makes some delicious sandwiches.